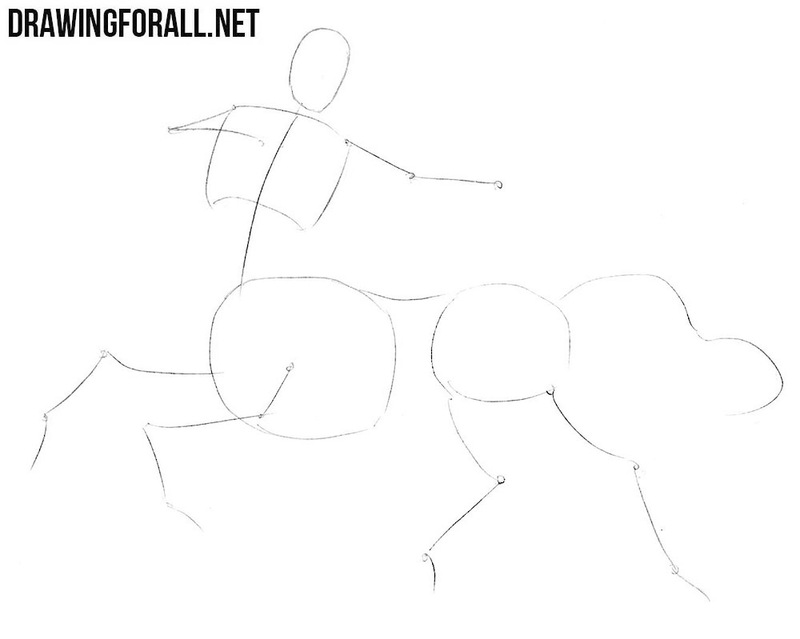 Hello everyone and welcome to drawing tutorial about how to draw a centaur step by step. Centaurs in ancient Greek mythology are wild mortal creatures with the head and torso of a man on the body of a horse, the inhabitants of mountains and forest thickets, accompany Dionysus and are distinguished by violent disposition and intemperance. So, first of all sketch out the skeleton of our centaur, which consists of simple geometric figures. The head, the thoraxes (yes, our centaur has two chests) and the pelvis are drawing in the form of ovals. 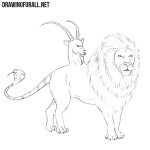 Then draw the spine, limbs, and the tail with simple lines. Add volume to our centaur also using simple geometric figures. At first sketch out the lines on the face. 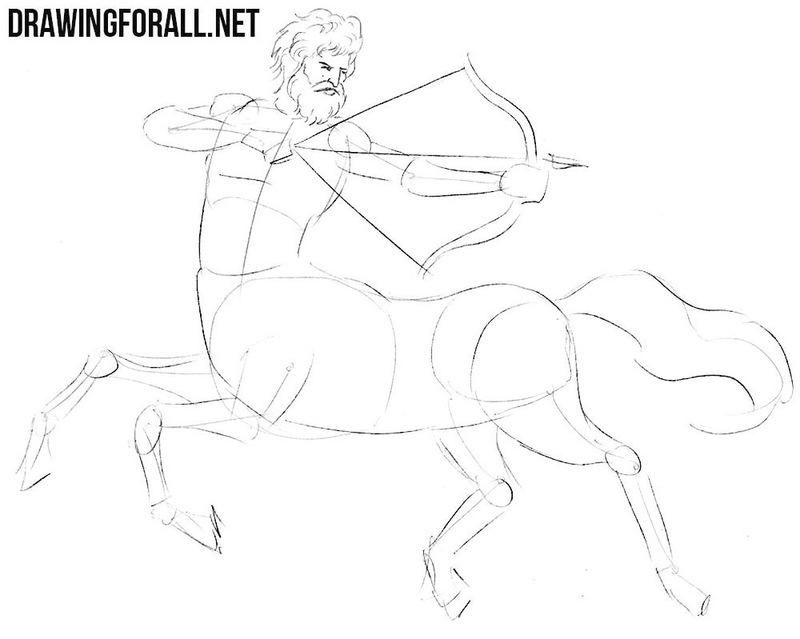 Then proceed to the body and add some volume to the centaur. Sketch out the bow and arrow in his arms. Note that we use very light lines in the first and second steps. Now let’s move to the details. Draw out the curly hair and beard of our centaur. Then using intersecting lines from the previous step draw out the facial features (eye, brows, nose and mouth). We go down a little lower and draw out the details of the torso and arms. 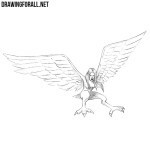 Carefully draw the muscles and remove all unnecessary lines. We continue to work on the details. 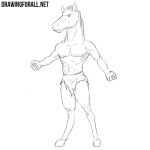 Just like in the previous step erase all the extra lines and accurately draw out the contours of the centaur’s body. 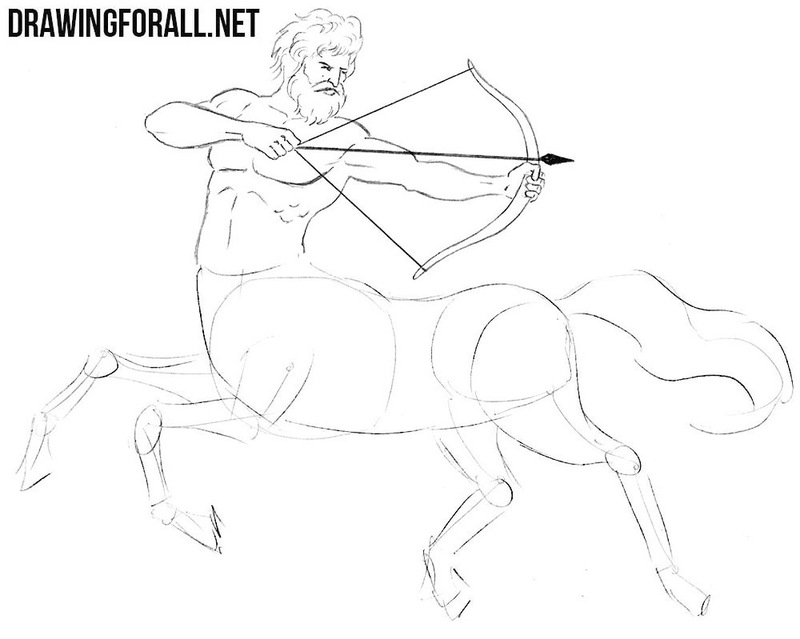 Using curling lines draw the tail of our centaur. 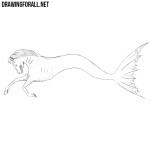 The last step of the drawing lesson is about how to draw a centaur. Here we need to add shadows. If you worked properly with the shadows then you will get a realistic centaur. 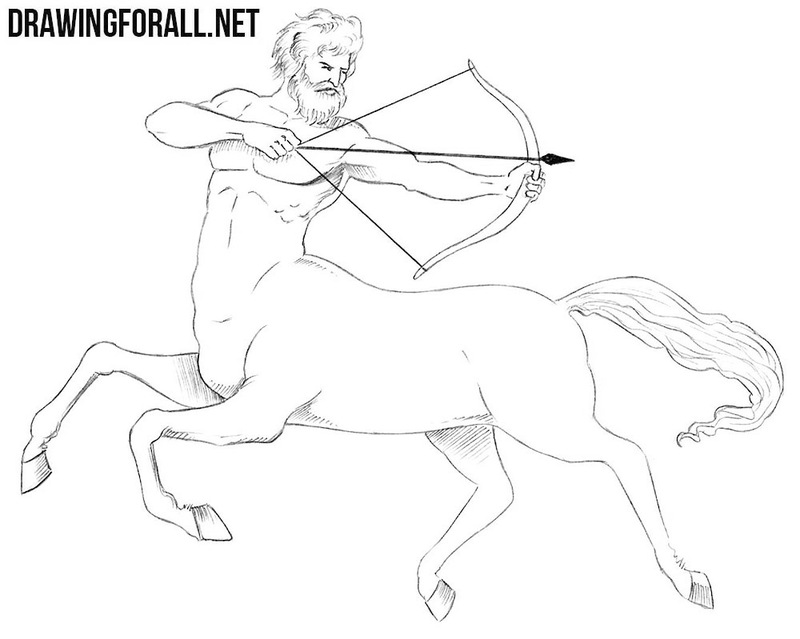 Centaurs are very frequent guests in books, films and games about myths and fantasy. Now one of them lives on our website too. 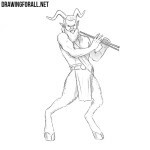 On our site lives not only a centaur, but also an ogre, a goblin, a troll and a dragon, which you can learn how to draw.